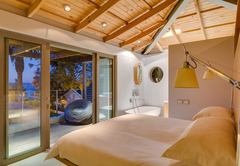 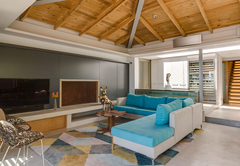 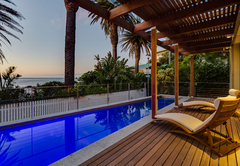 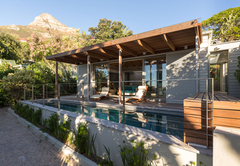 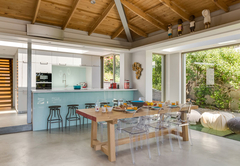 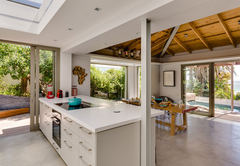 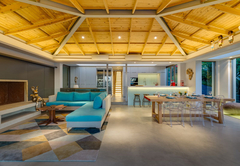 Bungalow 52 is a property providing self catering in Clifton for up to 6 guests visiting the Atlantic Seaboard region. 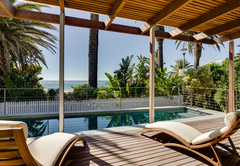 Beach Bungalow 52 is a luxurious self catering bungalow and is the ultimate beach hideaway just a few steps from Cape Town’s world famous Clifton 4th beach. 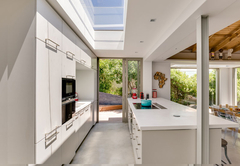 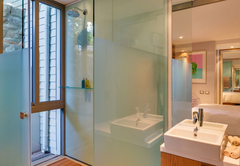 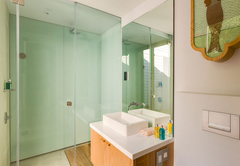 No expense has been spared by the owners in combining an extremely stylish modern design feel, with state of the art technology and luxury appliances throughout. 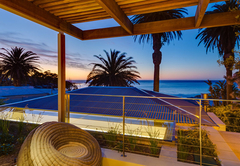 There are amazing sea and beach views greet you from every angle, and the sound of the ocean is never far away as you explore this fabulous property further. 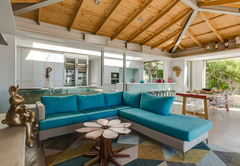 The bungalow consists of three levels in all and comprises two double bedrooms and one single bedded room as well as two separate living / entertainment areas. 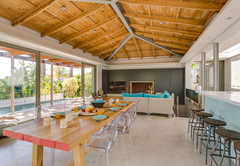 The main split-level living area offers a comfortable and relaxing lounge adjoining the dining area, with the modern and extremely well equipped kitchen one step higher. 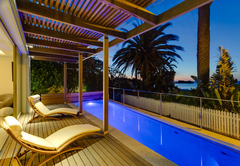 The lounge and dining area opens onto a covered deck with an ample sized heated swimming pool. 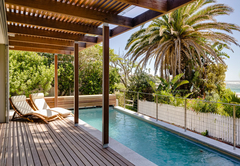 Catch glimpses of the beach just across the walkway as you dive into the inviting swimming pool. 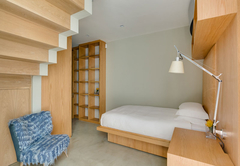 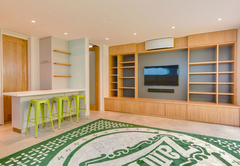 The very funky, bright downstairs entertainment level is two flights of steps down from the main living area and provides a fantastic entertainment hideaway. 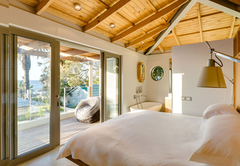 Large pool windows stream blue light into the room and the large TV and sound system, bar area, beanbags and large daybed make it the perfect spot for unwinding and chilling out after a day’s sightseeing in Cape Town or on the beach. 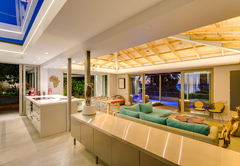 Response timeBungalow 52 typically responds to requests in 5-10 minutes.